Grill your body once in a while to check how tough it is. No, this is not a silly recommendation to make your busy and tough life any harder. Rather, this is probably just what you need to build a body and mind that tackles uncertainties like a champion. Most people either prefer to go out for a run, grab hold of the nearest cardio machine for an hour in the gym in stark contrast to those who just want to lift weights to get big. Between building strength and steady state cardio, little scope is left for conditioning. In fact, many would rather avoid it. After all, it looks like so much hard work! Our body is quick to adapt to the motions we perform on a regular basis. If you lift weights, it builds muscle to handle the usual load more easily which is great because its metabolically expensive tissue that helps you burn more calories even if you are doing nothing but sitting on your couch! Similarly, if you run everyday for 30 minutes, your body is able to cover the same distance burning a lot less calories over time. Many of us usually refer to it as improved stamina. This means one eventually ends up doing longer and longer cardio to sustain the same amount of calories burnt irrespective of the number of calories you read on the digital monitor of your treadmill. Not to mention, you are likely to lose as much muscle tissue as fat if cardio is your only go to option for daily exercise. Conditioning work is important to prevent your body from getting too accustomed to the usual same old daily physical patterns. The little shocks of multi joint, multiple muscle group exercises are your route to sustaining a raving metabolism, stay lean and toned over time and blast the last of that stubborn belly fat that just refuses to go. All these benefits and in the end, you will only be left feeling more energetic throughout the day! Fully body movements also expose weaknesses and imbalances in your body if you have any. Hence, conditioning is like showing yourself the mirror to really know what you are made of. It is the beginning of stepping outside denial replete with weak self-assurances that you do look after your health to really start working upon the best possible fit you can be! Following are some of the popular conditioning exercises for you to try. Attempt them for maximum repetitions in a minute to 8 rounds of a tabata circuit of 20 seconds work-ten seconds rest format, after your usual workout. OR pursue them anytime in the day for a couple of minutes when your body is properly warmed up. Studies confirm that high intensity jolts of EVEN A COUPLE OF MINUTES in the day have long term health benefits. So, ease yourself into the world of high intensity gradually and build your ability to tackle complex circuits that leave you looking chiseled and feeling awesome. Burpees – The dynamic, fast-paced burpee is a rare bodyweight exercise that works your heart and generates a massive burn in your legs, arms and shoulders. This no-excuse exercise is not only your initiation to greater mental strength but also revives your nervous system to produce explosive force using the hips and the core to transfer it to the rest of your limbs. People with elite levels of coordination are hardly ever likely to be clueless wanderers. Better control of the body translates to a solid grip on the mind. 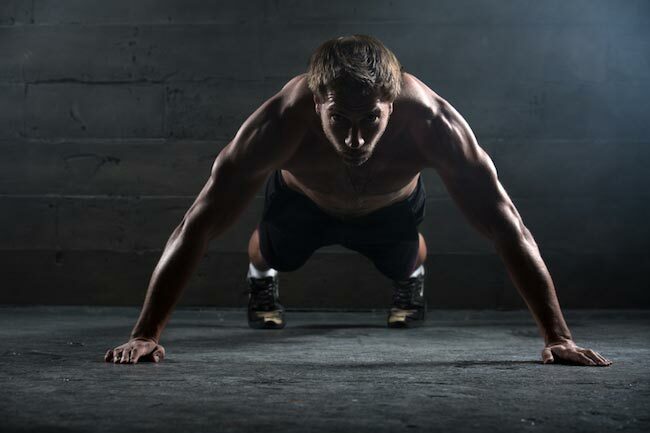 If you find the traditional burpee conveniently manageable, then Men’s Health offers 25 punishing variations for you to amplify the intensity. 8 Count Bodybuilders – This navy seal move defines ‘less is more.’ It is a consolidation of simple moves performed in quick succession to give you a full body muscle toning and cardio workout as demonstrated in the video below. 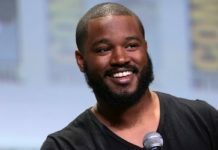 No wonder most Hollywood celebrities resort to navy seal workouts to get ripped in a hurry! Man Makers – You know your workouts are getting serious when you bring added resistance into the equation. Using a pair of dumbbells, man-makers condition your legs, core and shoulders to work in flawless tandem. Dumbbell Thrusters – Another time efficient movement that teaches healthy body mechanics. Dumbbell thrusters combine both, the squat and overhead pressing into one explosive move. The shoulder level front loading with free weights also engages the back and the core and will orient you towards greater functional competence. 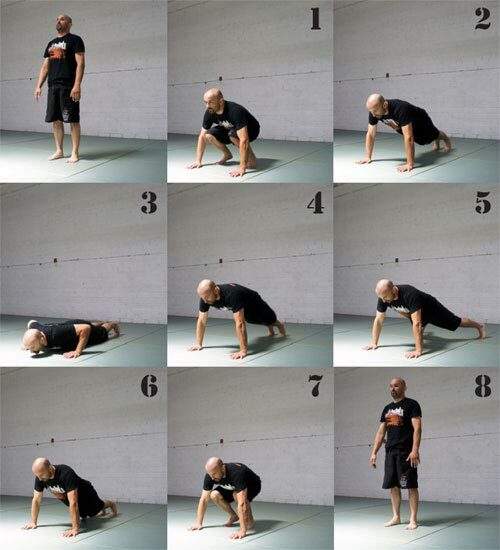 Bear Crawl – Crawling forms the basis of many complex movement patterns that so many of us sadly become rather inefficient in, as adults. Unlike the four exercises mentioned above, this movement is low impact but does not mean it is any less effective. If you have tight hips or a jammed lower back, the bear crawl will make you more mobile and enhance your ability to stabilize your spine. This translates to massive strength gains to move around greater loads both inside the gym and outside in the real world. Regular crawling will also coordinate the left side of the brain with the right side which means you will be able to think and respond faster on your feet. 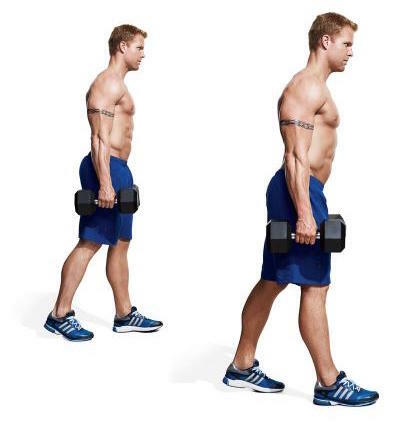 Farmer’s Walk – Simply walking around while holding dumbbells in both hands appears deceptively easy. Wait until you try it. The aim of the farmer’s walk is to walk as fast as possible while holding the heaviest pair of weights that you can carry for at least 30 steps to begin with. Nothing straightens the back like this exercise does as it is impossible to walk with rounded shoulders carrying a pair of heavy weights. Initiating stable alignment and calling upon a well braced core, the entire posterior chain is stimulated to develop patterns that can withstand sudden impact and prevent injury. While improving an individual’s overall work capacity and mental tenacity, loaded carries also serve as the ultimate test of grip strength. So if you want stronger, more muscular forearms, farmer’s walks should form a regular part of your workout routine.